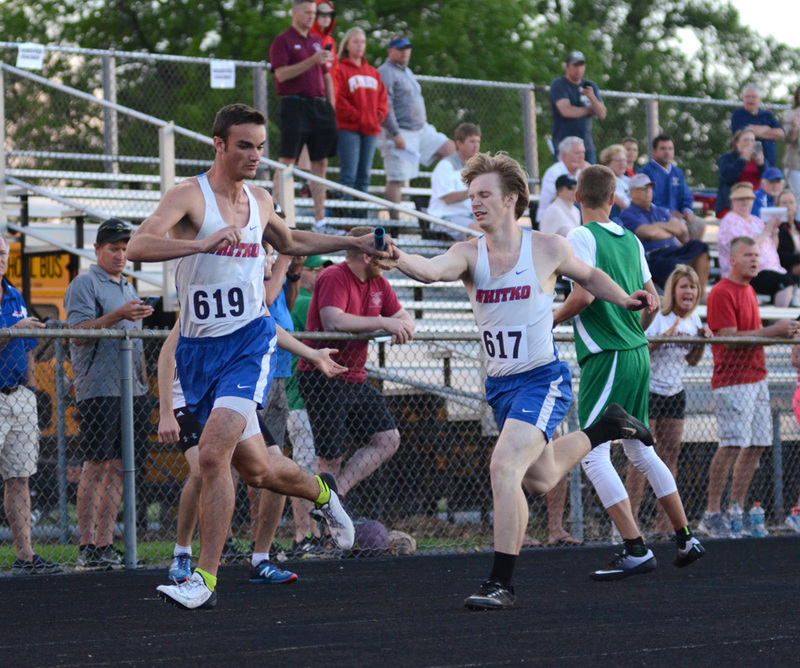 BREMEN — Six sectional titles and 10 regional berths are nothing to sneeze at, but Whitko coach Ron Cherry wasn’t overly thrilled with consolation prizes following Thursday’s Bremen Boys Track Sectional. Not with the Wildcats hoping to take home a three-peat team championship. Plymouth upended two-time champion Whitko for the first time since the Wildcats joined the field in 2015 in a fight to the finish, 114-107.5. Tippecanoe Valley finished eighth with a score of 48.5, a single point behind Manchester, while Triton put up eight points to finish 10th. While he may have been disappointed in the final standings, Cherry couldn’t fault his athletes’ effort. 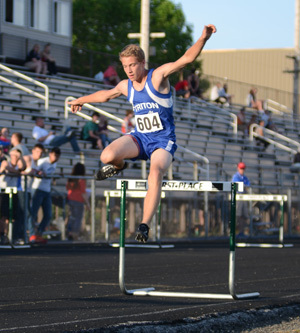 That effort earned the Wildcats the top spot in six of 16 events at Bremen. While the Pilgrims out-pointed the defending champs, no team won more events Thursday. 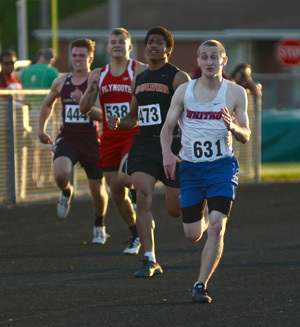 Garrett Elder took top honors in the 100-meter dash (11.24), the long jump (19-10.75) and as a member of Whitko’s 4×100 squad alongside Shad Ebbinghouse, Chase Meade and Alex Wilson (44.57). 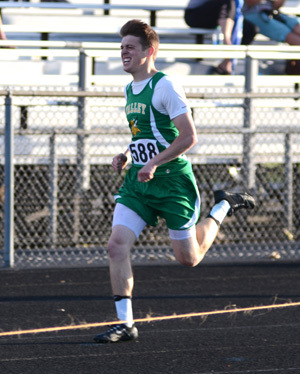 Wilson placed second behind Elder in the 100 meters (11.35), and he reigned supreme in the 200 meters (22.9) as the Wildcats’ sprint corps dominated at Bremen. “In maybe distance and throwing events, you get a second chance if something doesn’t go right. In sprints you’ve got to be there right away,” explained Cherry. The Wildcats also shined in the throwing events as Gavin Howard outdistanced the field in both the shot put (47-06) and the discus (142-08), while Conner Sherwin placed second in the disc (137-03) in Whitko’s second one-two finish of the night. 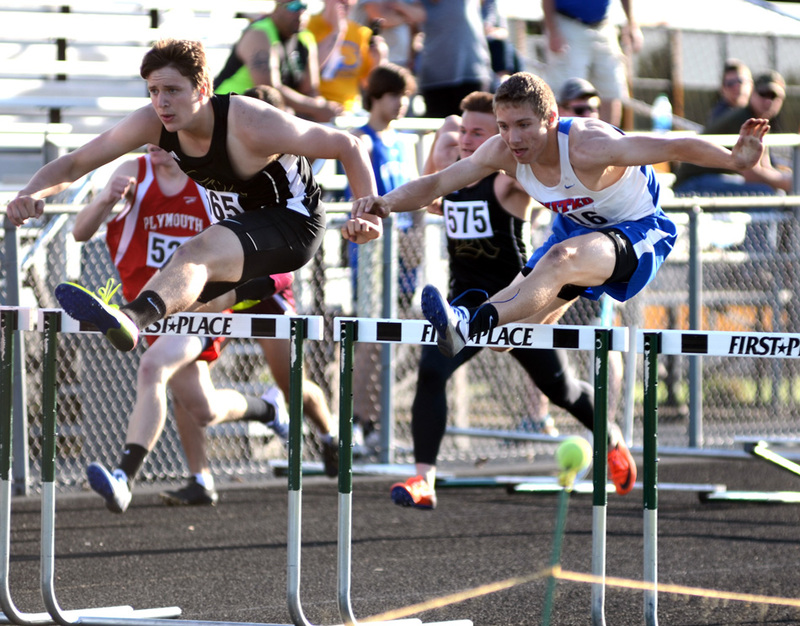 Like teammates Elder and Wilson, Ebbinghouse made a trio of regional cuts for Whitko in the 4×1 as well as both hurdles races (16.02 for third in the 110 hurdles and 42.22 for second in the 300 hurdles). 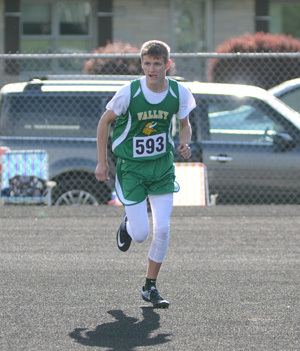 Tippy Valley earned its lone title in the 400 meters, where Dakota Parker clocked 51.18, possibly setting a new program record in the process. While Parker PR’d in the 400, fellow Viking Keith Wright cleared 6 feet in the high jump for a new personal best and also earned the right to advance to next week’s Kokomo Regional. “We knew he was close, but he had never cleared six foot. We were hoping, but it was an exciting night for him,” Moriarty said. Triton never cracked the top three, although Nathan Riggins was close in the pole vault, clearing 10-6 for fourth place. Seniors Malachi Greene and Marcus Brown both made the finals of the 200 meters, where they finished seventh (24.76) and eighth (25.6), respectively.